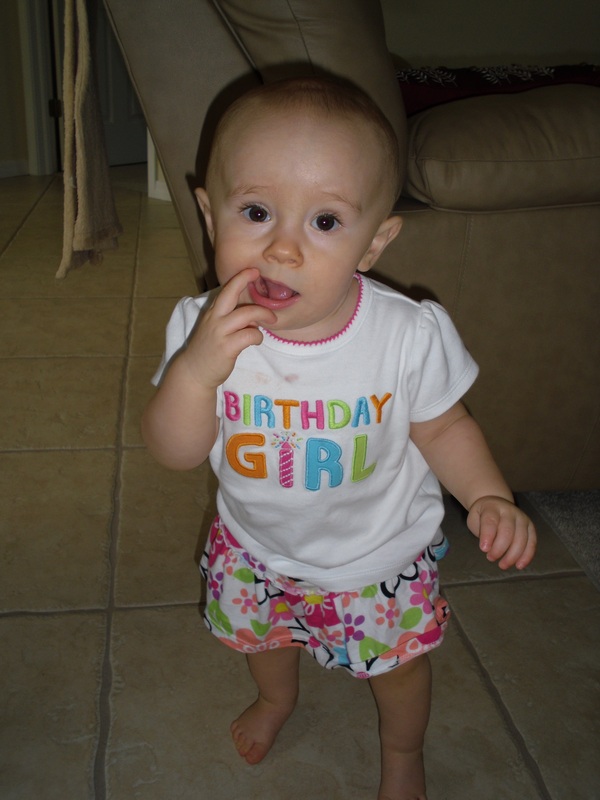 Last weekend, PoppaNut and I headed to New Port Richey for Miss Madison’s first birthday! Wow, how the time flies. It seems like just yesterday that PoppaNut and I were living with Miss Madison’s Mom and Dad (Ashley and Randy), who were not parents at the time. Ashley and I had moved in together when she relocated from Indiana. We had a two-bedroom place in Tampa, and we had no idea how much our lives were about to change in one year. PoppaNut proposed to me in the living room of that very apartment, and Ashley and Randy started dating while we were there as well. I used to laugh and say apartment changed everyone’s lives. You either got married, found out you were preggos or broke up. Yes, there were several breakups that happened in that apartment, with Ashley and I listening from the balcony as a few couples we know fought in the parking lot. It was quite a time! Luckily, Ashley and I had better luck with me getting engaged and Ashley starting a family with Randy with the arrival of Miss Madison. 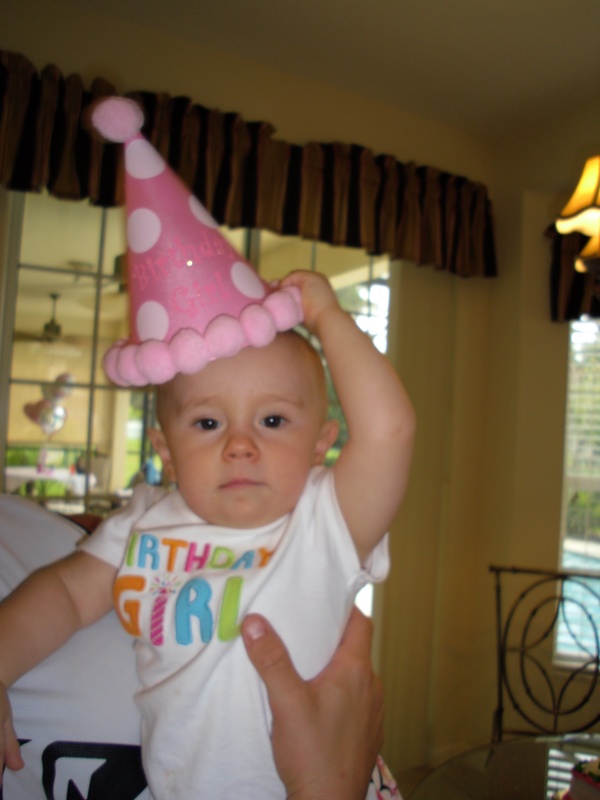 So, celebrating Madison’s first birthday makes me celebrate how far I’ve come in my own life as well since Madison came along. 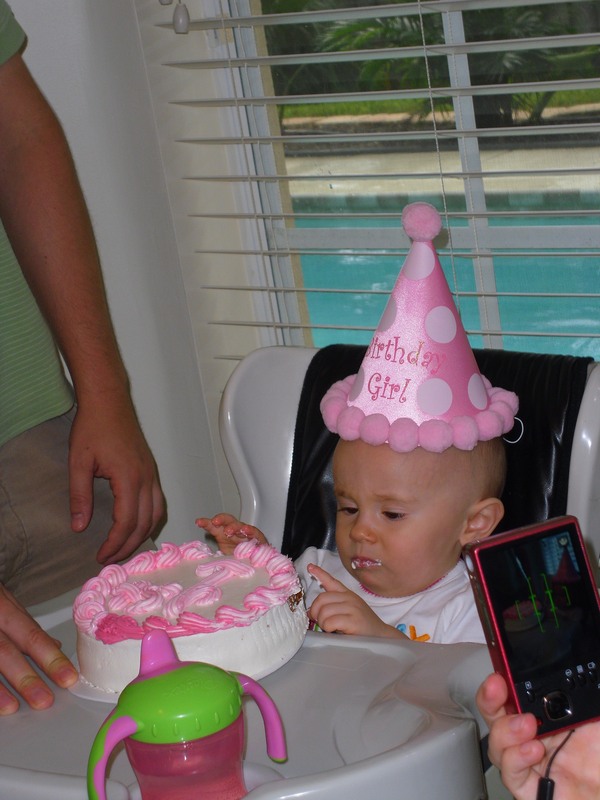 It was so great to get everyone together, and see Madison enjoy her very first slice of cake. It was also good to see Uncle Greg, Aunt Debbie, Bryan, Ashley, Randy and my brother Davie. I hope you enjoy the photos I took while we were there too. We love you, Miss Madison! And that’s life in a nutshell … celebrating a milestone as a family is the perfect way to spend a Sunday.